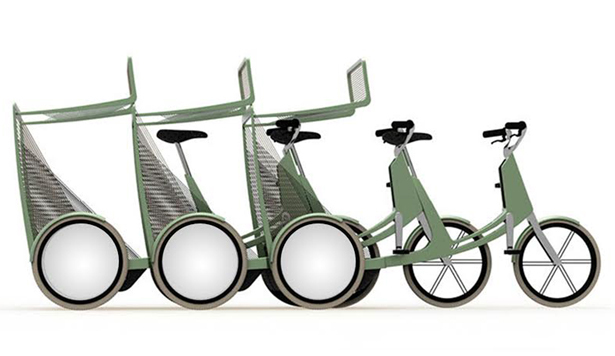 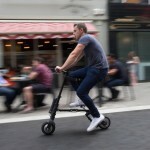 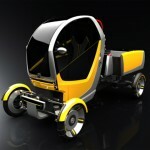 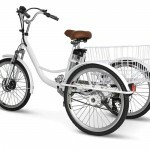 Inspired by nested shopping carts and bike sharing system, Lecomotion urban E-trike was born. 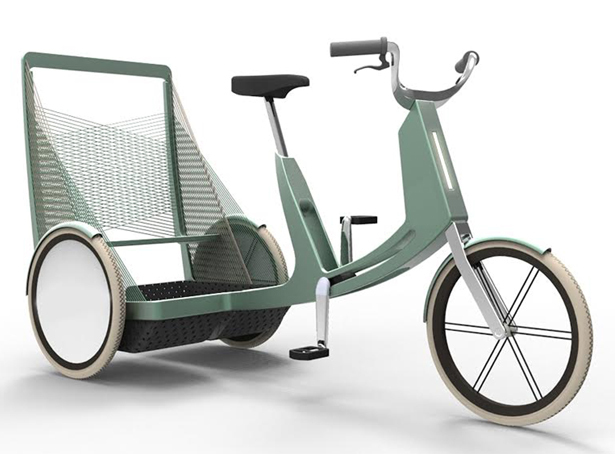 Natacha Lesty, an industrial designer who genuinely cares about our environment, designs this concept e-trike with intention to reduce the use of cars in our daily life. 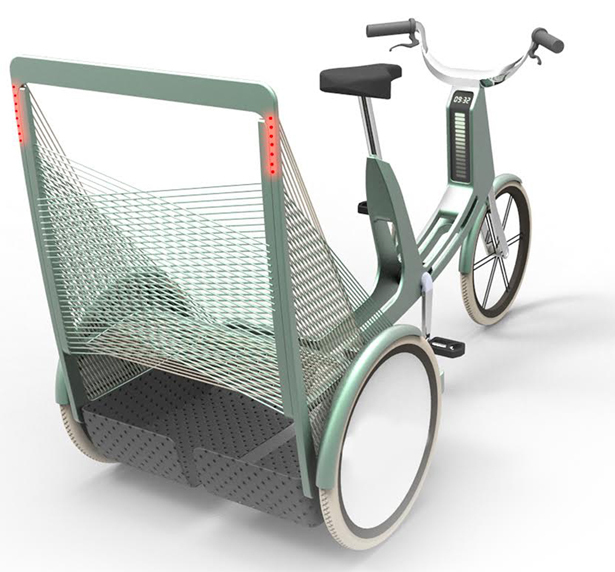 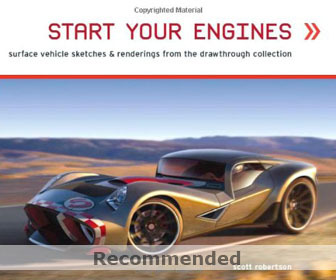 This unique transportation features nesting mechanism, an innovative folding system that requires less action for anyone to nest them. 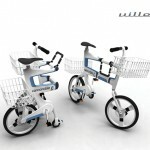 It has been designed to nest within each other for compact storage, just like shopping cart, it also facilitates colleting and moving many of them at one time. 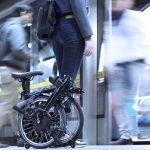 Lecomotion is equipped with in-wheel motor and in-crank generator, that’s why you don’t see any bike’s chain. 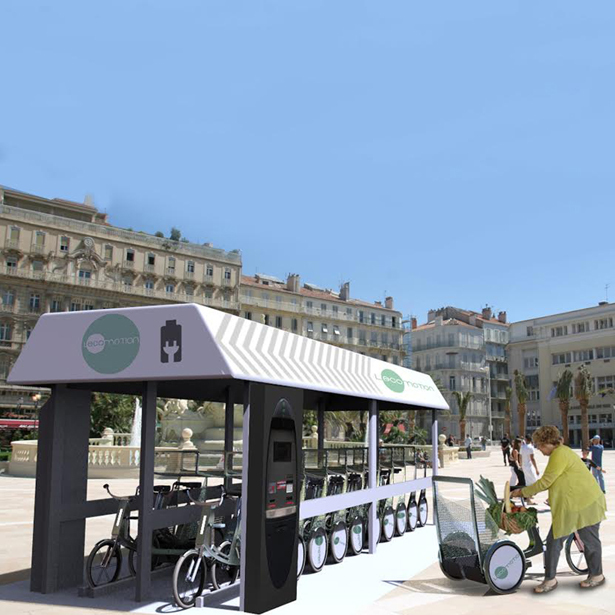 It uses FIFO (First In First Out) queue system in the parking station. 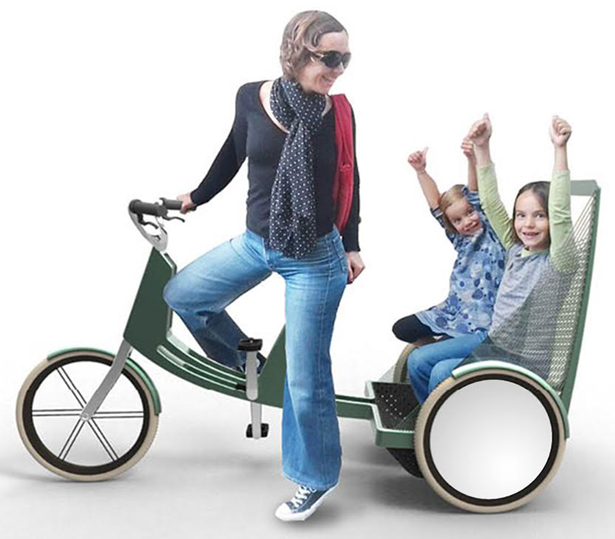 The back cargo can be used to transport 2 children or an adult, the driver can use the pedal to ease the work of the system while carrying the cargo. 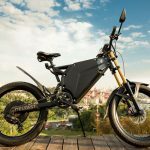 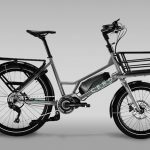 It’s your choice to ride it just like a normal bike without having to use the battery, it’s healthier, but you can always change to use the supportive battery when needed. 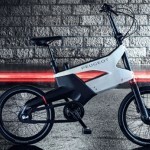 All information regarding the battery power is displayed on top of the battery itself, along with charge level and time left. 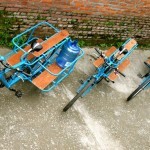 Tagged as Bike, industrial designer, Natacha Lesty, shopping carts.